Custody evaluations are ever more prevalent in child custody litigation. Custody evaluations are often used as an interim step to get parents to agree on child custody by coming to a parenting agreement without having to go to a hearing. Additionally, the custody evaluator tries to steer divorcing couples towards a better co-parenting arrangement, which is usually best for the children of divorce. This custody evaluation segment focuses on preparing documentation. What documentation should you prepare for the custody evaluator and how should I prepare it? Well, you’ll focus, as always, on the most important factors first, just like you would for court. Only, you’ll make a few less copies. Prioritize according to importance. Top priority is given to anything the custody evaluator specifically requests. Make sure you have a copy for yourself, the custody evaluator, and your ex-spouse. Less is more. The custody evaluator will dedicate limited time to documentation review. A deluge of paper will not help you or the custody evaluator. Focus on most current information. Years ago history is likely to serve as little consideration unless there are matters of very serious importance. Of course, in order to be able to do this, you must have documentation and other resources from which to draw. Hopefully, you have read about and taken our suggestions about journaling as much as daily, copying yourself on all correspondence you send to your ex-spouse, and saving everything your ex-partner documents to you (including transferring voice mails to computer files via a digital recorder). School records, including report cards, behavioral reports, parent-teacher conference notes, if any, other progress reports. Medical records, general health information, height, weight, immunization status, etc. Knowledge of teacher names, coach’s names, instructor’s names. Knowledge of child’s good friends’ names, maybe even their parents’ names. Anyone or anything of importance about the kids’ lives. You aren’t necessarily going to turn these in from the get-go. The objective is to have them ready when requested or the discussion touches on these topics and they serve as support for that conversation. Having a fairly detailed, well-rounded knowledge of all aspects of the child’s life makes a significant impression on anyone evaluating parenting skills. Obviously, you’re likely to be engaged in the custody evaluation process because you and/or your ex-spouse have allegations to support regarding their parenting skills and abilities. So, while you aren’t there specifically to bash, you need to be able to articulate those concerns you have and support your allegations with some meaningful objective evidence. That is to say not only support your own claims about them, but to be able to reasonably defend against false allegations they make against you. The entire exercise of appropriate documentation for the custody evaluator is to clearly support the claims you have made about your child custody case. 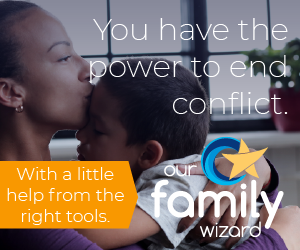 Further, it is critical for you to convey that while you believe that children need both parents in their lives on an equal or close to equal basis, your concerns rise to a level that merits consideration for a deviation from your own beliefs. That is, the children are going to better off with you primarily and you are better positioned and willing to foster ongoing, good communications and a good relationship with the other parent. If you can prove that the other parent is embellishing or even outright lying and support this with meaningful objective evidence, you stand a greater chance of convincing the custody evaluator that your motivations are genuine while the ex-spouse’s are clearly not. Present positives about you and your parenting skills first. Be well prepared with important, child-related documentation. Present your concerns about the ex-spouse. Support your concerns with meaningful objective evidence. Have copies of everything available to present to your ex-spouse at the same time you are to present them to the custody evaluator. An outcome in anything related to family court and child custody is never guaranteed. However, you must stick to the important matters at hand, resist the urge to embellish or be overly dramatic, never lie, and always keep a cool head. You will certainly increase your chances of a positive outcome for you and the children from your custody evaluations.